Even the best-suited couples sometimes have to move on. 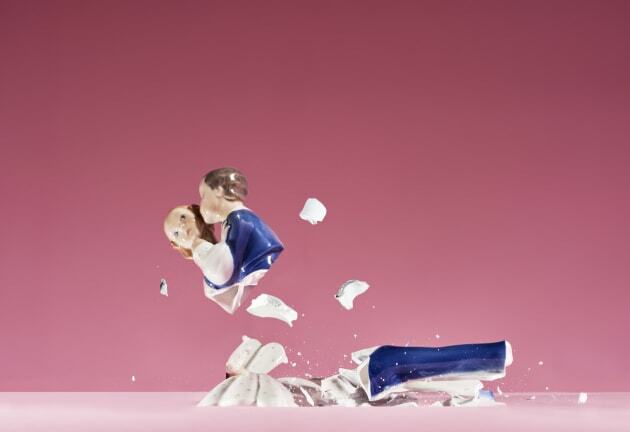 Separation and divorce aren't what most couples are thinking about when they stand across from each other and say 'I do'. Yet in Australia, two divorces are granted for every 1,000 Australian residents. While this is down from the figure of 2.8 in 1995, it also means not everybody gets their happily ever after. But how do you know when it's time to call it quits? Not all marriages last forever. "First off, I would say it's actually a really important question to think about," Andrew King, practice specialist at Relationships Australia told HuffPost Australia. "As sometimes not thinking about questions give them a lot more power and mystique. "Is this a horrible question? Probably not. In a healthy relationship, it's quite a normal question. In fact it's something I would encourage couples to think about periodically, maybe every seven years or so. Why are we together? What does it mean for us to be together? "Another thing to think about is what would life be like if you weren't together. If you can have an upfront discussion without being fearful of the question, I think that's actually going to enrich your relationship." Special circumstances aside, King says the main challenge most married couples face is remaining relevant to each other over time. "The challenge is growing together rather than growing apart. That's the big challenge," he said. "It's important to know that relationships do change over time and we need to be able to grow together in the change rather than apart." For every relationship that goes over several decades, there will be times when you have differences and challenges. You need to be able to move through those times and not see them as the end. "To relationship-proof your marriage, you really need to be able to talk about this periodically in a non threatening, playful but valuing way. Be conscious of why you stay with the other person. "There are actually few ideal relationships. There may be some idealising in the honeymoon period, but for every relationship that goes over several decades, there will be times when you have differences and challenges. You need to be able to move through those times and not see them as the end." During these times of difficulty, King says it's important to keep an eye out for potential behaviours which could turn problematic over time. "If you're not talking a lot, if you're not checking in with each other during the day -- even just by a quick text -- or you're not talking a lot when you're at home together, these can be tipping points in a marriage," King said. Feel like you don't talk anymore? "Another sign you are growing apart is if you rarely have common interests or aspirations, or few connections or mutual friends. "If you don't check in with the other person when making a decision, or start taking the other person for granted in general... all of these can be worrying signs." How do you know when it's time to separate? Unfortunately, even despite the best efforts of both parties, sometimes it's just time to call it a day. And according to King, while there might not be a singular 'a-ha' moment, there are some tough questions which may give you an idea of whether the relationship is worth pursuing. "What is it that your partner adds to your life? I think, for a successful relationship, you have to see that your partner plays a key part regardless of the challenges you face," King said. "If you know that there are many things life will throw at us -- whether it be failing health, financial struggles, unemployment -- but that throughout all that, your partner still adds something to yourself... That's an important question: is your partner adding something for you in terms of love and companionship that you will miss or not have if they leave? "If your answer is no, that is something worth addressing." Another quick test King recommends is asking yourself to list five things you do together as a couple. "If you come up with no fingers, then it's good to think about what the relationship means," he said. Is anyone else still mourning Ben and Jen? Finally, while there may be some healthy aspects left in the relationship, King says some couples come to the conclusion the negatives have come to outweigh the positives. "Some people get to the point where they say 'I still really love them but we've been through too much'," King noted. "It's an interesting realisation, where you still love them but you need to leave them because it's just become too hard. "That's a very big consideration to undertake -- whether the cost of staying together far outweighs the beneficial aspects of your relationship. In these situations the separation may be very cooperative and non-adversarial... it's just a realisation they can no longer live together. "At the end of the day it's your own personal decision and there are a lot of considerations. It's probably the reason seeing a relationship counsellor would be useful, because by talking to someone who is outside and independent, it helps to get clarity on what the relationship means, and it may help you to make that decision one way or the other."